Pella Lincoln Elementary was built as a part of the 2013 school bond issue. 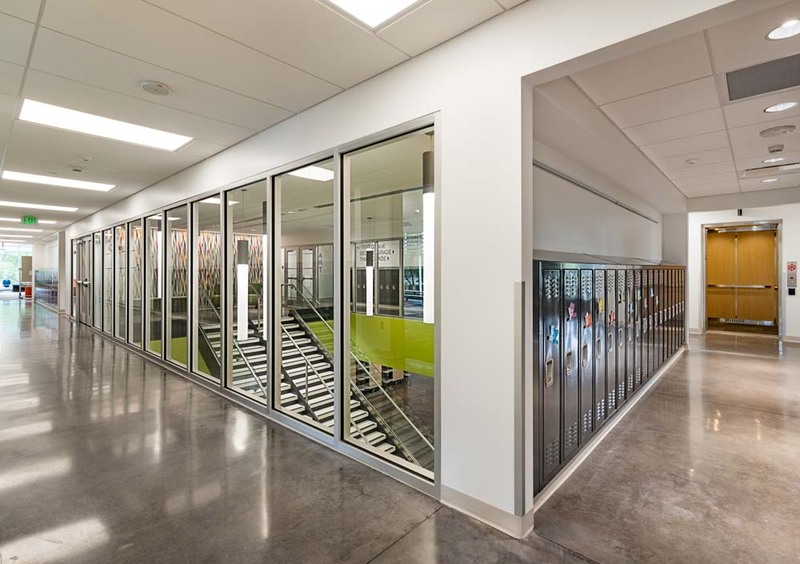 The new facility replaced an aging school where reuse was costly and restrictive. 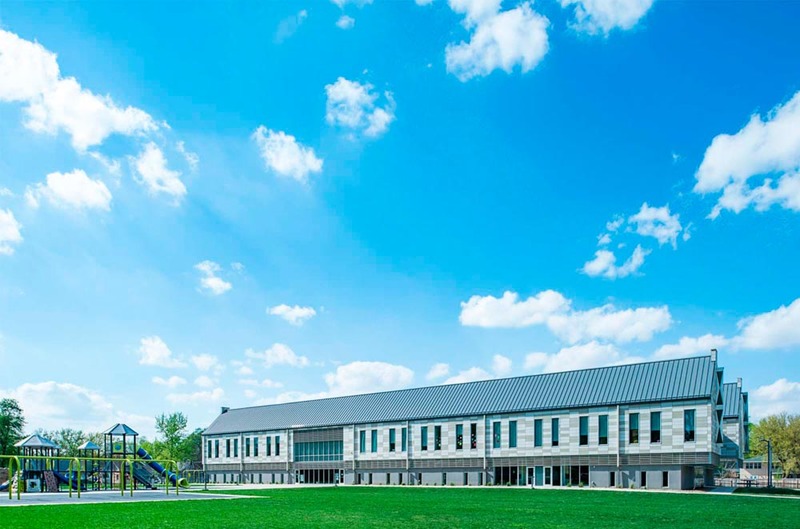 Pella Lincoln Elementary occupies more than 53,000 square feet, serving 250+ prekindergarten through 3rd-grade students and includes a gym, serving kitchen, team areas, and classrooms. 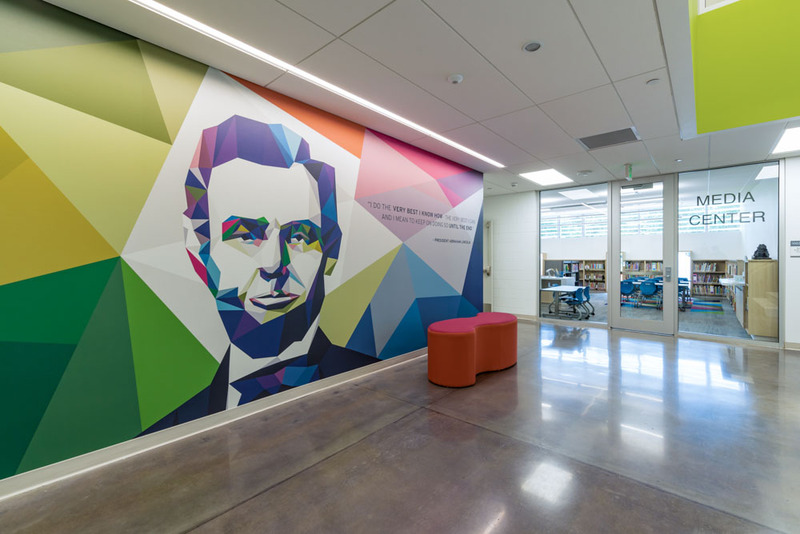 The new elementary school embraces modern systems. Classroom-wing heating and cooling is accomplished via an air-cooled variable refrigerant flow (VRF) system. The system utilizes a fan coil configuration with various electric heat backup solutions (varying with the architecture of each space). Ventilation is provided to classrooms via rooftop energy recovery ventilator (ERV). The ERV was strategically placed between adjacent roofs. 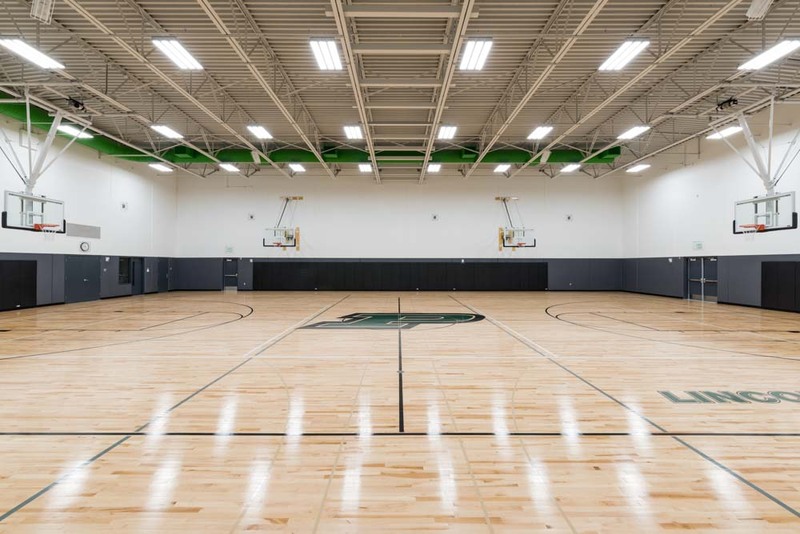 Gymnasium space heating, cooling, and ventilation come from a rooftop air handling unit (RTU) also located in an area creating clean building elevation. Additional systems include a grease interceptor and exhaust for the serving kitchen. Additional exhaust systems serve the dishwashing space and art room kiln. 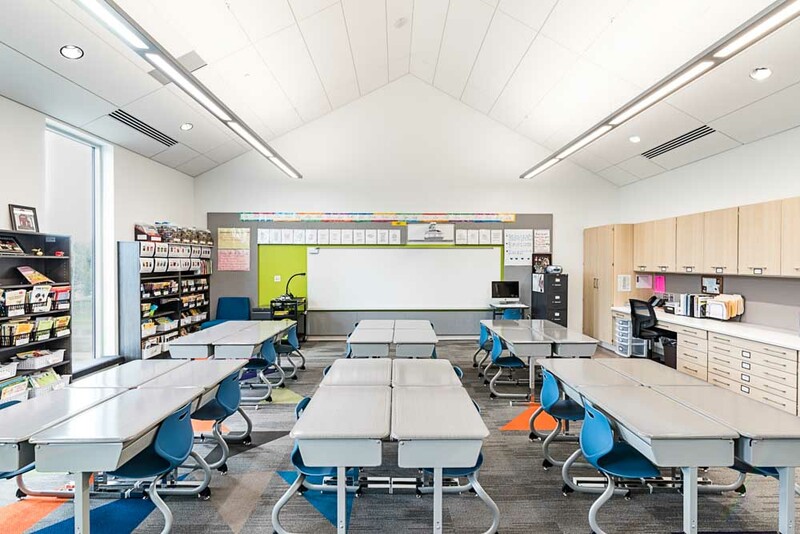 All building architectural lighting and exterior lighting is LED, allowing dimming in all classroom areas and daylight dimming near windows to save energy. A networked lighting control system brings all lighting together to meet energy code. 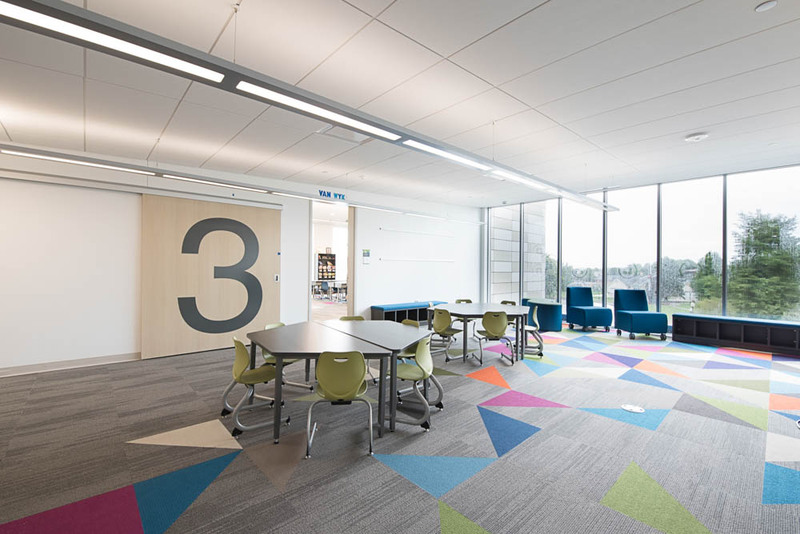 The classrooms include powered shades to support the associated audio-visual (AV) systems. 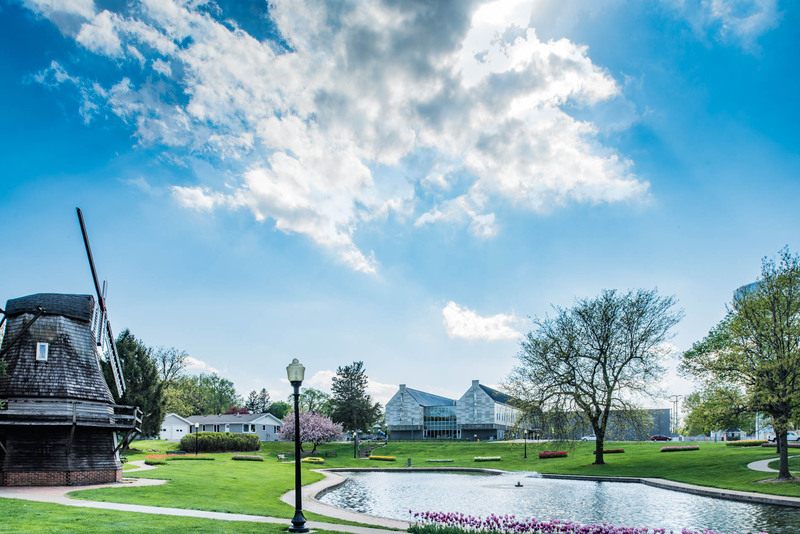 The facility site communications system was relocated and reinstalled to the new building. Communications design included raceway, cabling, electronics, and wireless access points. The classroom AV solution comprised of classroom amplification and a small AV switcher to a short-throw projector, allowing a variety of system inputs. 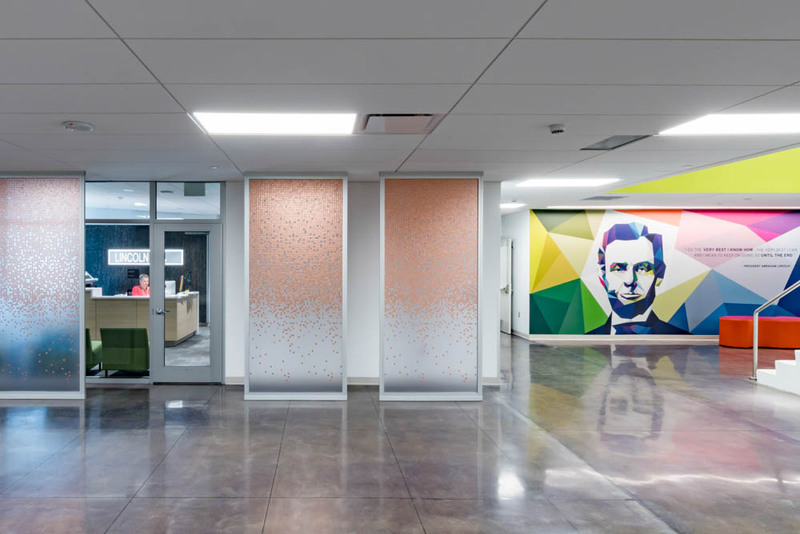 On the safety and security front, access controls were provided at key building entry points, a facility intrusion detection system was installed and video surveillance monitors the facility.